Normally I don't like what I call "special effects" polishes...where there's so much going on your eyes aren't sure what to do. But this polish may have changed my mind. 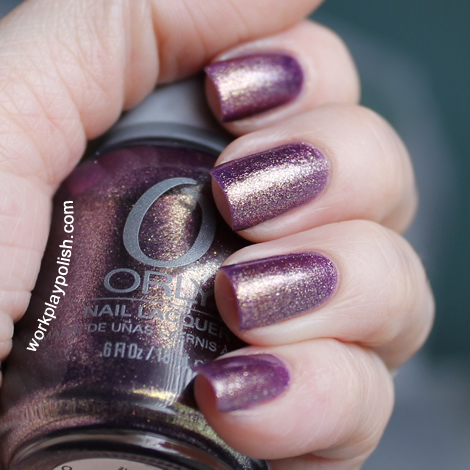 It's Orly OUI from the 2011 Holiday Soiree Collection. 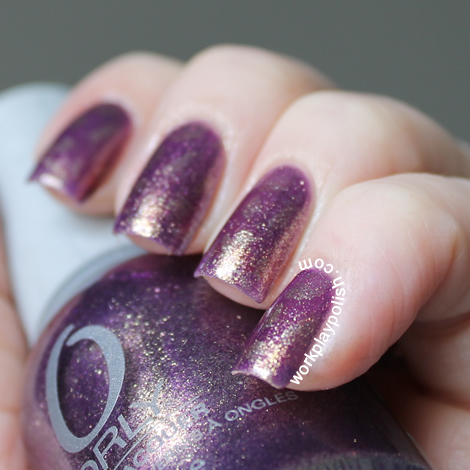 It's a deep purple, shimmery, gold-flecked, duochromish polish. Lots happening here. So that explains the "Yes" part of my post. I had the brilliant idea to stamp OUI with a matching gold polish. So I chose Sally Hansen Golden-I. But it turns out, Golden-I is the exact shade of goldy magic that was swirled into the OUI potion. 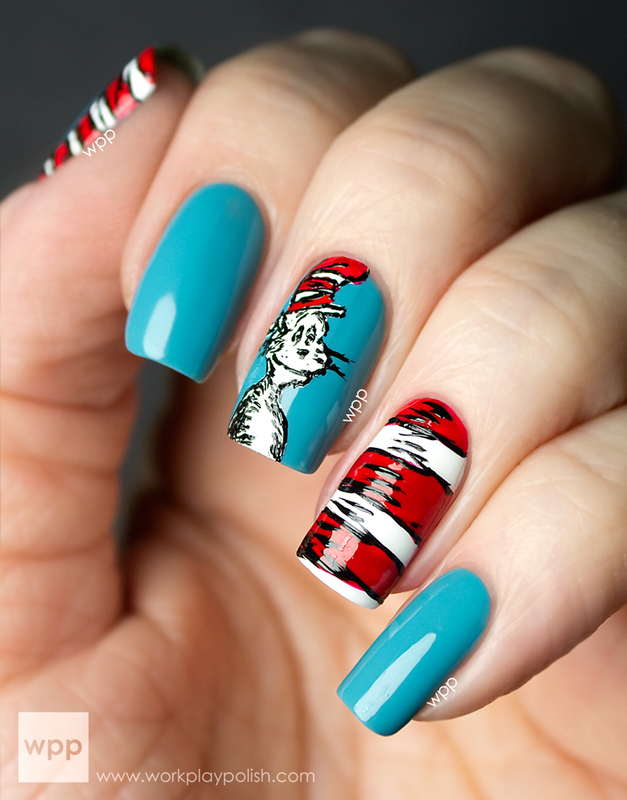 So instead of some cool, semi-tone-on-tone effect...I ended up with some nail art that requires reading glasses and a strobe light to detect. So this is the "No" part of my post. You know that riddle about if a tree falls in the woods and no one hears it...does it really make a sound? 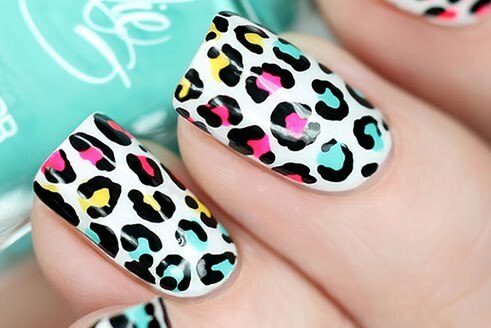 Well if nail art is applied to a manicure but no one can tell...is it really nail art?